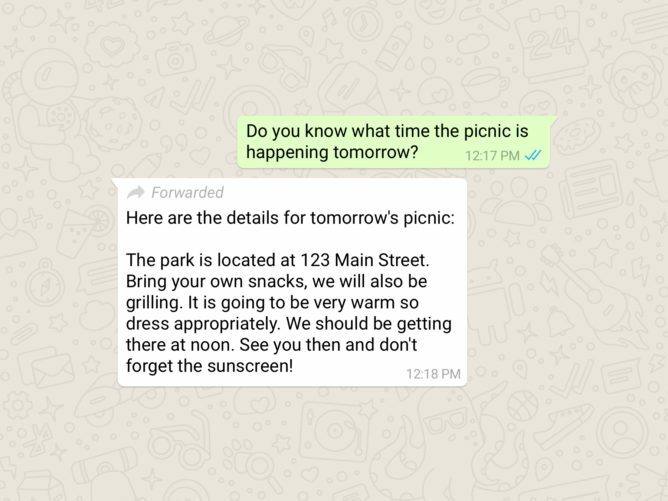 Forwarded messages are now easier to spot in WhatsApp. Starting today, messages forwarded to you will include a new "Forwarded" label above the message body. 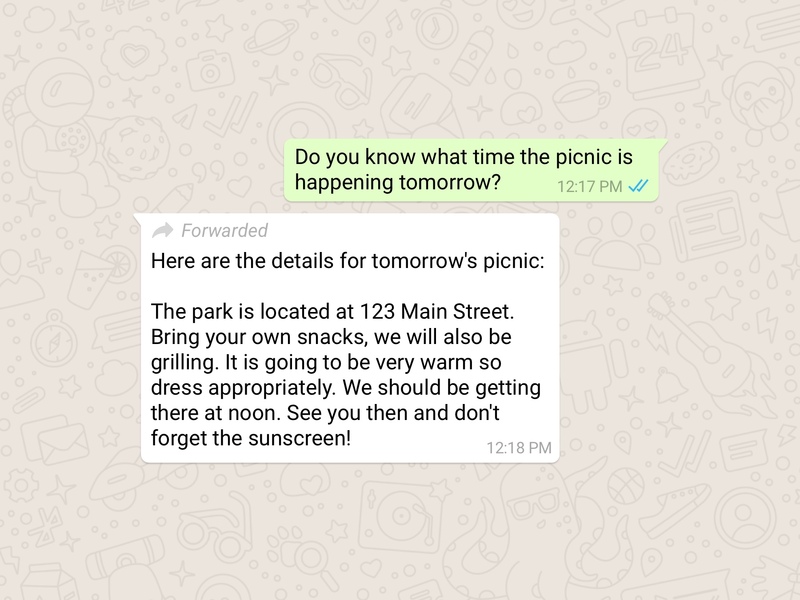 WhatsApp says the new label "helps you determine if your friend or relative wrote the message they sent or if it originally came from someone else," which, yeah. The feature has been kicking around the beta for some weeks, but it's good to see it graduate to the normal release. Forwarded labels are available in the latest version of WhatsApp now.